Having made their name playing the clubs, bars and booze spots of the Carolinas, Little Blue Fish is a band that’s at home wherever good times are had. 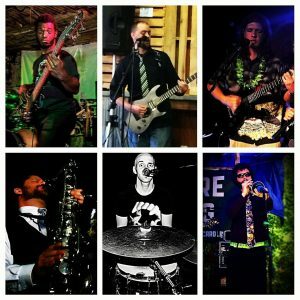 Playing both popular standards, as well as their own bill of original rock music, Little Blue Fish keep the party going and drinks flowing all night. The group is an evolution of previous collaborative project The Derek Sjoblom Collective, spawning amidst a climatic performance at The Fillmore Underground Charlotte, that strives to deliver a fresh, yet authentic spin on modern alternative music.